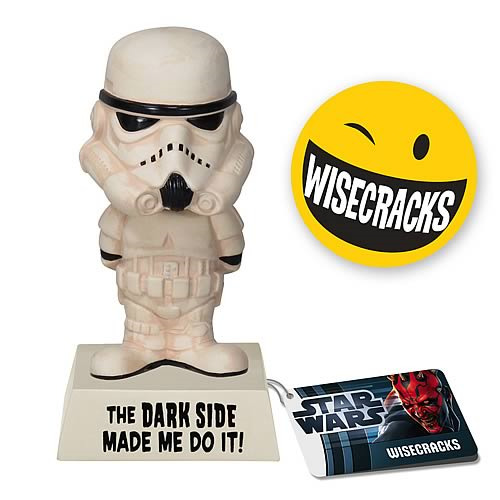 If you love Star Wars, the Funko 6-inch tall Star Wars Wacky Wisecracks Stormtrooper "Darkside Made Me Do It" Vinyl Figure Bobble Head is a great way to pass the blame! This collectible plastic Wacky Wisecracks bobble head is molded in white plastic with painted details bringing out the sculpting of the armor. Just remember, whatever happened, it's not his fault. Base included in measurement. Ages 5 and up. Figure comes in a polybag.